Next, I needed to create a low-detail figure that will used at the beginning of the video. 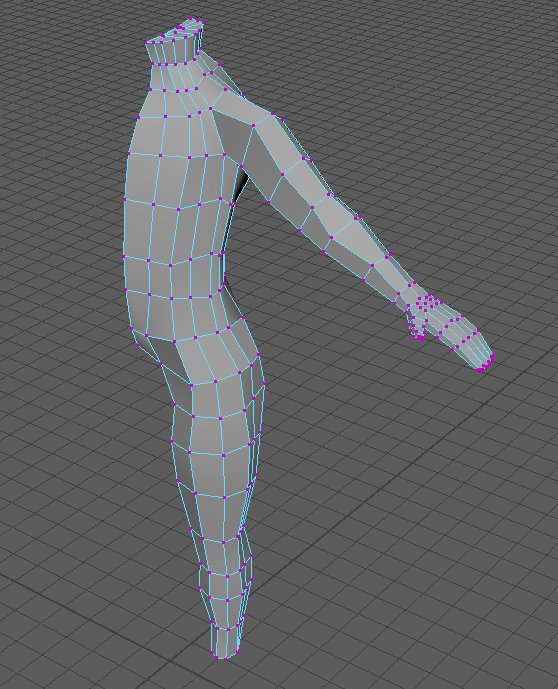 This figure will eventually be placed in a meditative pose, but it was easier to build it in the classic figure model pose and then rig it with “bones” to fold down into a meditative pose. I found a brief modeling tutorial by James Taylor on Youtube that gave me some insights on how to begin. 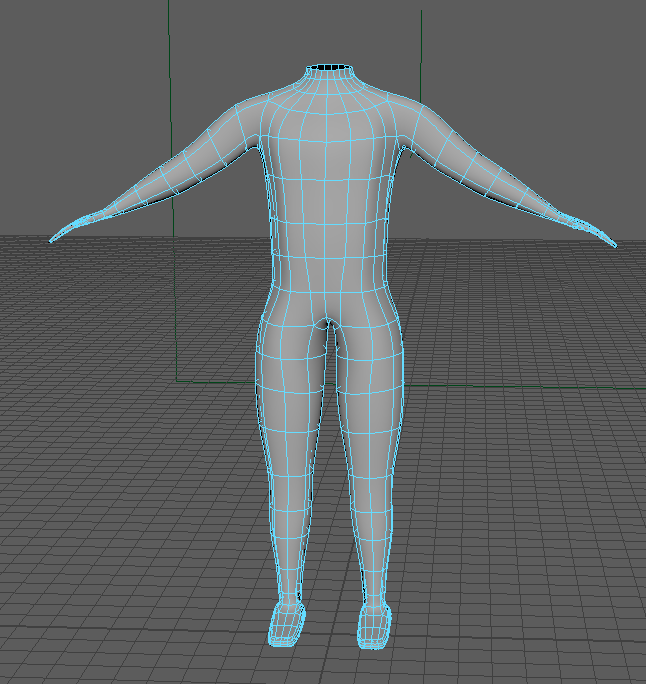 I started with a reference image, and used a cylinder as my basic shape for the torso. 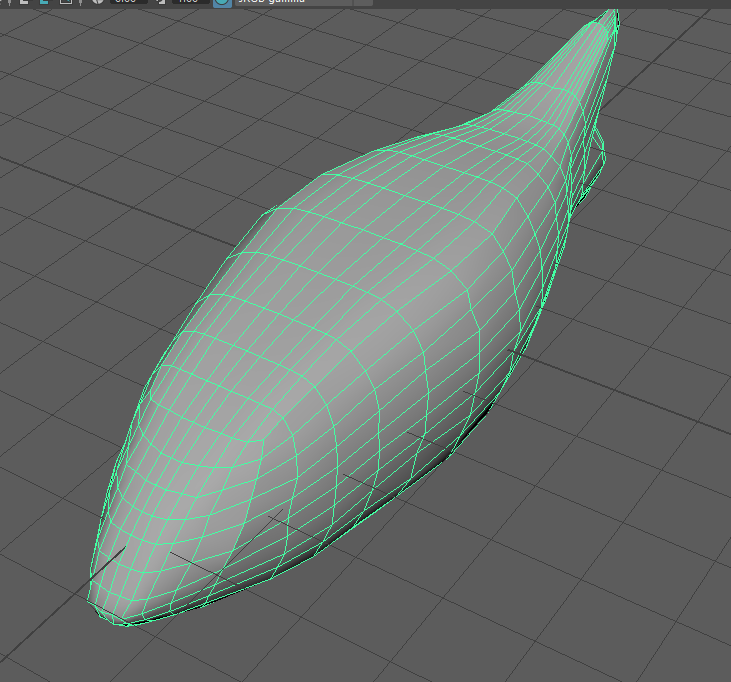 Then it was just a matter of pushing vertices and edges to conform to the shape. 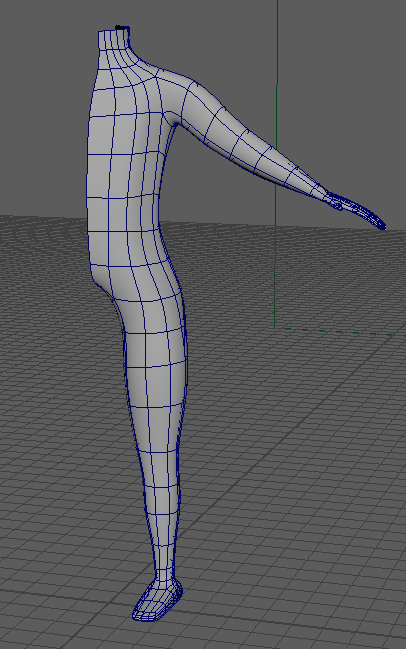 I used additional cylinders for the arms and legs. 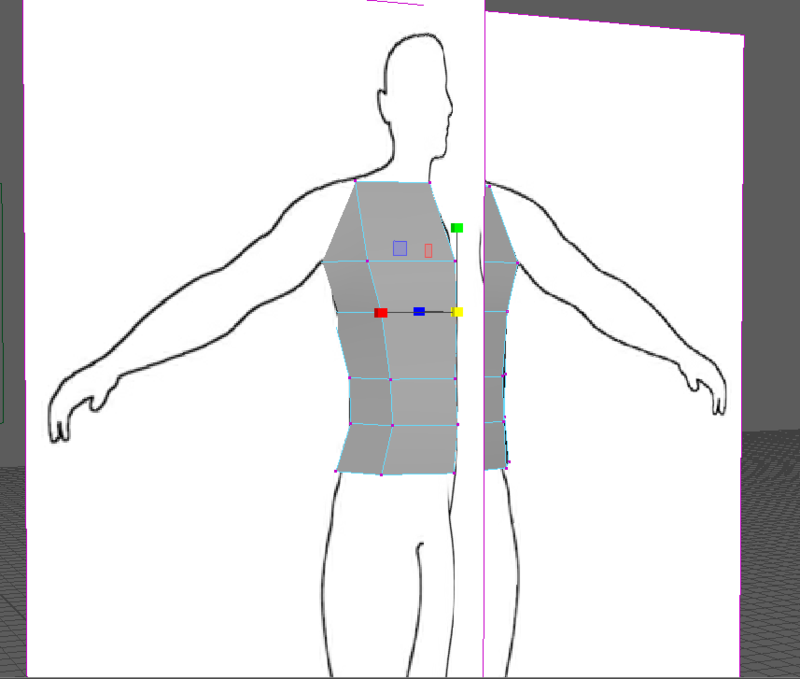 The trickiest part about this is attaching then with the right number of edge loops to the torso. The number of edges at the top of the arm must equal the same number of edges as the hole in the torso where the arm attaches. This gave me the most trouble. The hand was modeled starting with a box that was shaped and extruded to form thumb and fingers. The foot was modeled in a similar way, beginning with a box. Again, matching up the holes from the ankle to the box that made up the foot was the most difficult part. Finally, I mirrored the half for a symmetrical whole. I used 3 different images as my reference, scaling as necessary until they all lined up. I began with a simple cube, and using the reference planes, began shaping the edges and vertices to line up with the reference image. I alternated between top, bottom, sides and perspective view to get everything to line up. 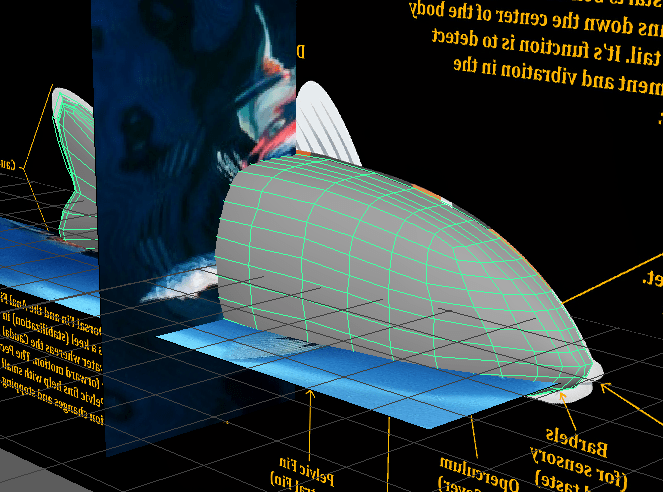 I placed the reference images on a layer that I could easily turn on and off so I could concentrate on smoothing and shaping the fish. I only created one half of the fish shape, so that when I was finished I could use “flip geometry” to copy the other side. 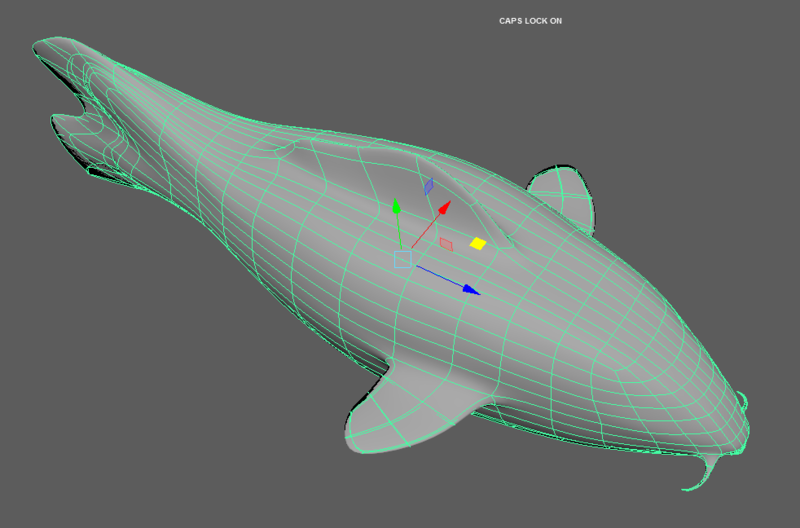 I added a fin and a “whisker” near the face. 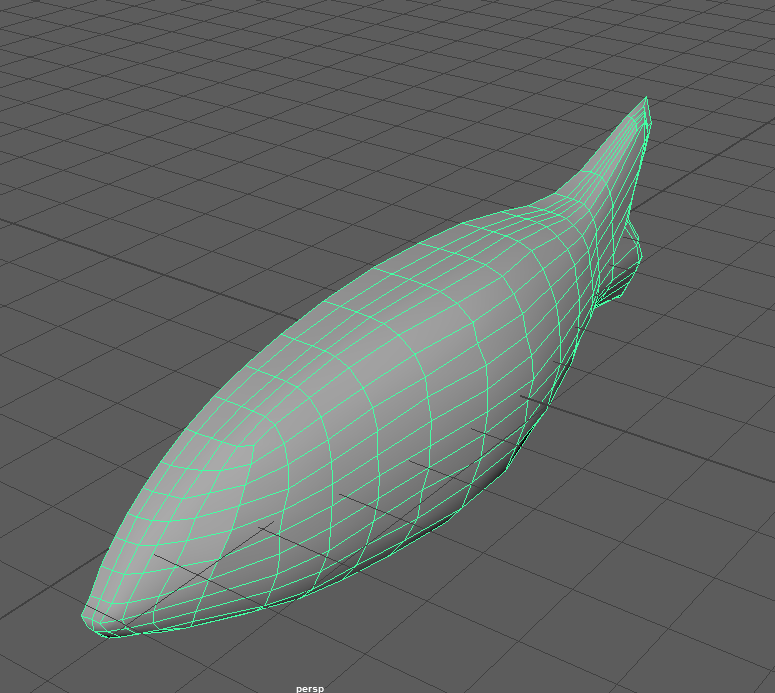 Finally, I used the “Mesh/Mirror Geometry” tool to mirror an exact copy of half the fish, so the two halves made one symmetrical whole. For this project I plan to use 3D modeling software (Maya 2016) and binaural sound therapy to create a short video that can be used by those receiving chemotherapy and similar treatments to assist with meditation, relaxation, and to help lower pain and stress. 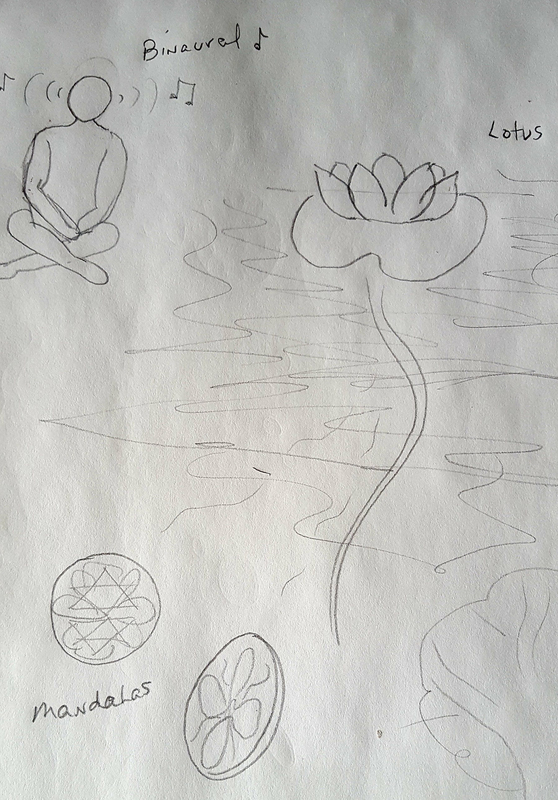 The video will be a visualization of mandalas (a geometric symbol) entering the underwater stems of lotus flowers and spiraling upwards towards a beautiful flower open to the sun. There is some scientific evidence that meditation (mindfulness-based stress reduction) can reduce anxiety, stress, pain, insomnia, nausea and high blood pressure. It can assist with improving one’s mood, improve ability to concentrate and boost the immune system. (See Cancer Research UK for details.) Anyone can practice meditation – you do not have to belong to any particular spiritual or religious tradition. My hope is that provided a visual representation of a guided meditation it will assist those undergoing chemo and other types of therapies to use meditation to feel better. I created a rough sketch late one night just to do a “brain dump” and get ideas out onto the page. A vague/simplistic figure sits in a meditative pose with an IV line going into his/her arm. The setting is clean and minimalistic. The camera follows the line from the IV and fades into an extreme close-up of medicine (represented by discs) flowing into vein. 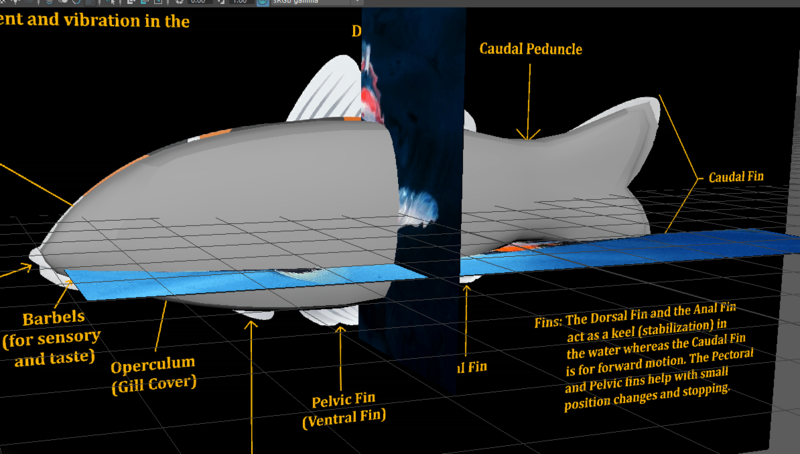 Camera pans back to see the vein now looks more like a stem and the scene has transitioned to an underwater scene. Lighting is dim and water is murky. A koi fish can be seen swimming in the background. Camera pans back to see several stems of lily pads anchored in the mud, with koi fish swimming through the stems. Light glimmers up above the surface of the water obscured by lily pads. Small discs with mandala designs float by, and begin to circle around one stem in a helix pattern. The mandalas enter the stem (similar to the way the medicine flowed into the vein). Camera follows up as mandalas spiral up the stem towards the light above. Camera breaks the surface of the water – bright sunlight shines down on lotus flower on top of lily pad. A mandala resolves from transparent to fully opaque at the center of the lotus flower. Music – ideally, there would be a soundtrack of peaceful, meditative music with a binaural beat. This may or may not be within the scope of this iteration of the project. 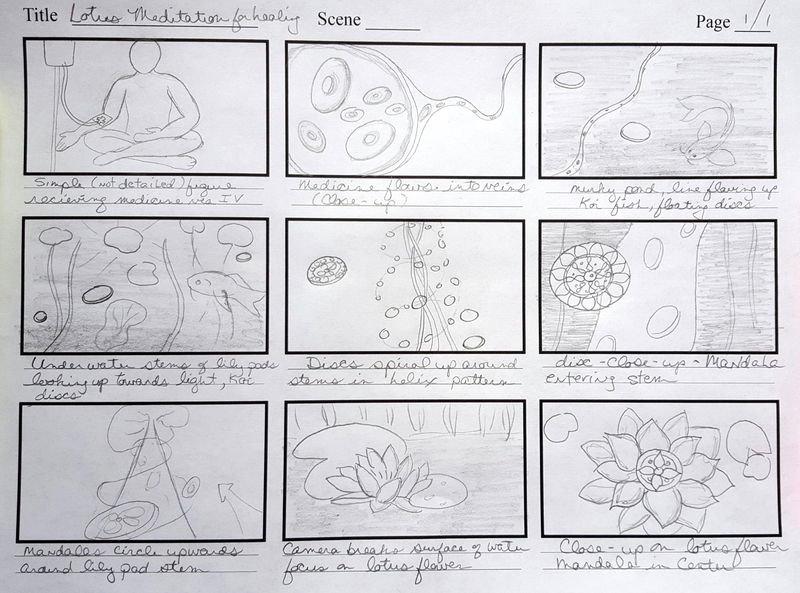 Next came story-boarding – drawing out the action of the video step by step. This forced me to really think about each shot and what the camera (ultimately the viewer) would see. Story-boarding forces you to show the visual logic of what each scene will look like and how each scene will flow into the next. The storyboard gives me a rough idea of the assets I will need to model to complete the movie. I also created a Pinterest board to pin references, tutorials and information relating to the project.